Welcome to the Family Martial Arts Academy in Miami, FL; home of excellence. Our goal is to have a positive impact on our community by teaching Quality Martial Arts and by developing students of high moral character. We provide an environment to develop your child in a positive manner. We provide an environment that is conducive to the mental and physical improvement of our students. All of our classes are in an open and friendly environment. Since 1996 we have been training our students in the style of Goju Ryu Karate; "The Original Mixed Martial Arts". Our students learn the five basic fundamentals of Martial arts, sticking, throwing, grappling and weapons. All of our students will develop self confedence, become physically fit and above all be able to Defend themselves. Parents are welcome to watch, and sometimes participate. Karate has proliferated over countless centuries, over different languages, and ethnicities. It has transcended over generations; in addition to crossing continents and oceans. We are extremely proud to have Karate as one of our core disciplines. Karate is a passive form of self-defense, requiring a highly ethical philosophy. Words like honor, discipline, respect, are the back bone of the character we help build. These lessons are deeply rooted in centuries of tradition. Family Martial Arts Academy is a family owned and operated Martial Arts School that was founded in 1996 based on Traditional Family Values and committed to developing and teaching children and adults in the arts of Sansei (3rd Generation) Goju-Ryu Karate, which was founded by Hanshi Manny Saavedra in the United States in 1980. At FMMA our belief's and core principles are simple. To assist our students not only in the Martial Arts, but to also put emphasis on developing their, self esteem, self discipline, confidence, respect of others and sportsmanship. This coupled with out Traditional Family Values which are the core of our teachings and that with developing leadership qualities. We at FMAA offer an outstanding physical conditioning program which is second to none. FMAA will offer our students both children and adults the opportunity for self growth and development in a safe family environment. 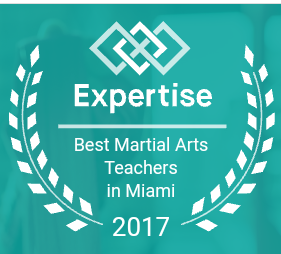 Our Instructors have a combined 65 years of experience in the Martial Arts, Weapons, Self Defense and are current members of the American Inter-collegiate Karate Association. We train and prepare students for national and local competitions, training daily current and past World & U.S. Champions along with various students that are ranked nationally by NASKA. All this is done with one key factor in mind, Sportsmanship and Dedication. 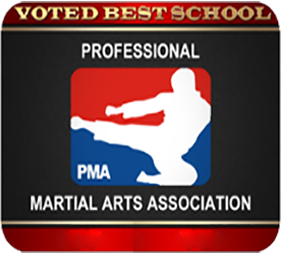 All Classes at FMAA are fully supervised by our qualified instructors (Sensei's) which assures close personal attention to every student. Welcome to the Family Martial Arts Academy in Miami, FL; home of excellence. Our Goal at the Family Martial Arts Academy is to develop your child in a positive manner. We provide an environment that is conducive to the mental and physical improvement of your child. All of our classes are in an open and friendly environment.